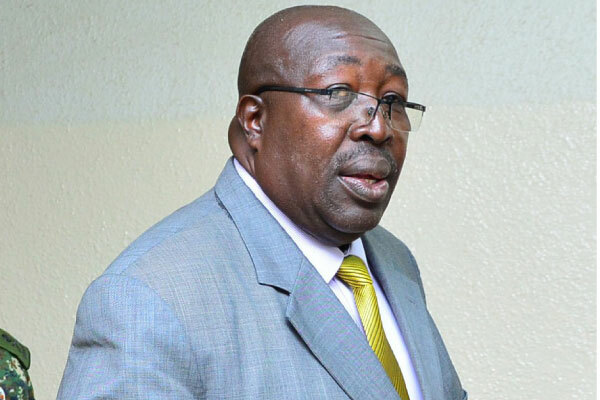 KAMPALA– A section of MPs clashed with some officials from Uganda People’s Defence Forces (UPDF) over criminalizing of ‘People Power’ as a criminal gang, with Legislators accusing the army of taking part in partisan politics. The back to forth exchange took place today at Parliament in the Defense and Internal Affairs Committee where UPDF had been summoned to give an update on the security situation in the country. Charles Engola, State Minister for Defense told the Committee that peace and stability continue to prevail in the country despite persistent incidents of criminality and politically motivated crimes. “The political situation in the country is generally stable. However, the growing tendency of hooliganism and violence among a section of some misguided youth, who have formed pressure groups, remain a concern to national security,” Engola said. He defended UPDF’s deployment around Entebbe International Airport as well as Gayaza ahead of anticipated return of Kyadondo East MP, Robert Kyagulanyi on 20th September 2018, saying security had picked intelligence signals of groups of individuals calling themselves People Power planning to engage in acts of lawlessness especially in areas of Kampala and Masaka. The Minister however said that through joint planning and cooperation with the public, security thwarted the negative plans of tehse elements, peacefully received Kyagulanyi at Entebbe and delivered him to his home in Gayaza. However, Engola’s description of ‘People Power’ as a bunch of hooligans was met with protest among some opposition MPs like Muwanga Kivumbi (Butambala County), demanding answers on how UPDF came to this decision. “I find it disheartening to find the word hooliganism when you are referring to Ugandans. A security agency that characterizes its citizenry as hooligans depicts of a mind and nearly bordering on saying that people organized under people power are criminals,” Kuvumbi fumed. He continued: “What happened to the extent that you want to call this a criminal gang? UPDF Representative in Parliament, Felix Kulayigye defended the Military and scoffed at Kivumbi’s English vocabulary. “Nobody has been described as hooliganism, if English is the problem, I need to be educated. The Minister has raised concern over the growing tendency and it hasn’t been associated with anybody. So where does the Member get this association with political groups?” Kulayigye argued. But Kivumbi wasn’t ready to go down without a fight and threw a jibe at UPDF’s intelligence skills. Another NRM MP, Fred Mwesigye rubbished Kivumbi’s remarks wondering if he expected UPDF to sit hold its hands as youths burnt tyres, in front of the building. “How do you want the state to respond? If Police doesn’t come to extinguish these tyres, do you know what can happen? How do you want the state to handle the situation, state is mandated to protect people. We shouldn’t condemn them when they’re trying to keep this country peaceful. To say we should allow the whole country to break into chaos isn’t acceptable,” Mwesigye remarked. Kulaigye tasked Kivumbi to explain how burning of tyres is a way of expressing one’s political views well knowing burning of tyres would damage the road. Engola defended UPDF saying this all started with hitting the President’s vehicle, and wondered how the Opposition expects Government to watch as the President’s vehicle was being shuttered.